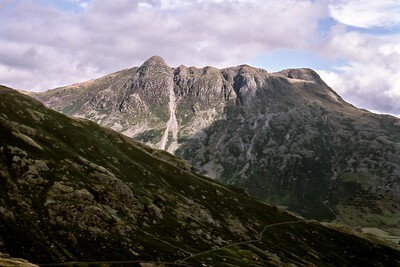 Including the Langdale Pikes, Bleaberry Fell, Helm Crag, Silver How and Loughrigg Fell. 27 in total. Castlerigg Stone Circle is in this album. 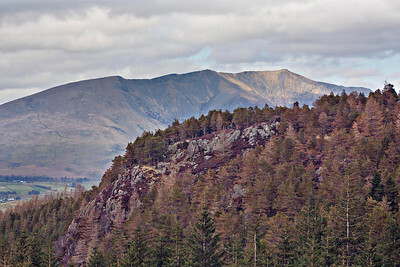 Although not a fell, it is central to N, NW , E & Central fells. And because I don't know where else to put it. ref: 130913-3140 Flying over St John's In The Vale with the slopes of Stybarrow Dodd behind; note the ewe lying on High Rigg top; above is Raise with the ski-tow on the skyline and two walkers on the summit. 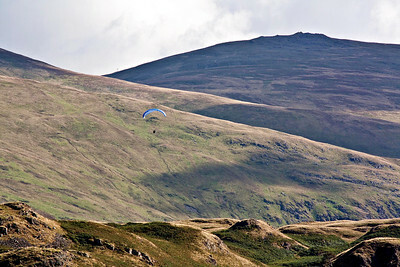 (Photographed from Castlerigg stone circle : High Rigg 1.6 miles; glider approx. 2 miles; Raise summit 5 miles/8 km). ref: 130504_(6386-95+6405) The road can be clearly seen 1000ft below. A photomerge of 10 images. ref: 130504-(6347-6352) A photomerge of 6 images. ref: 130913-(3111-3122) l. to r. Latrigg, Skiddaw Little Man (dark shadow behind is Skiddaw proper), Jenkin Hill, Lonscale Fell; Mungrisedale Common,Blease Fell, Hallsfell Top;Atkinson Pike; Great Mell Fell, Clough Head. A photomerge of 12 images. ref: 130913-(3005-3008) A focus stack of 4 images. ref: 130913-(3052-3077) Slopes of Blencathra at left picture edge. Great Mell Fell in the far distance. 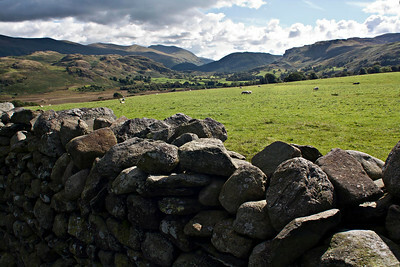 Clough Head and the Helvellyn range of Great Dodd, Stybarrow Dodd, Raise and finally Helvellyn itself stretching away to the south. High Rigg closer to us. 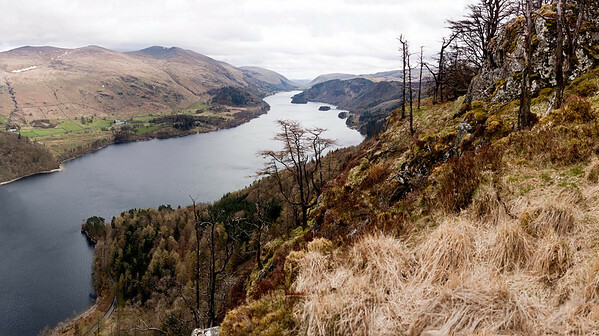 Centre right is Bleaberry Fell, then Walla Crag, then the NW fells of High Spy, Maiden Moor, Cat Bells, Hindscarth and Robinson with Rowling End on picture edge.